The story of Bensley's rise to fame within the drum & bass community has become infamous. One of the scene's most prolific to date, the emerging Ram stalwart was pushed into the agenda's forefront without any prior music being available to stream online. Having been signed to the revered imprint based on a few mysterious demos, the LP that followed demonstrated the thought process behind label-head Andy C's decision. 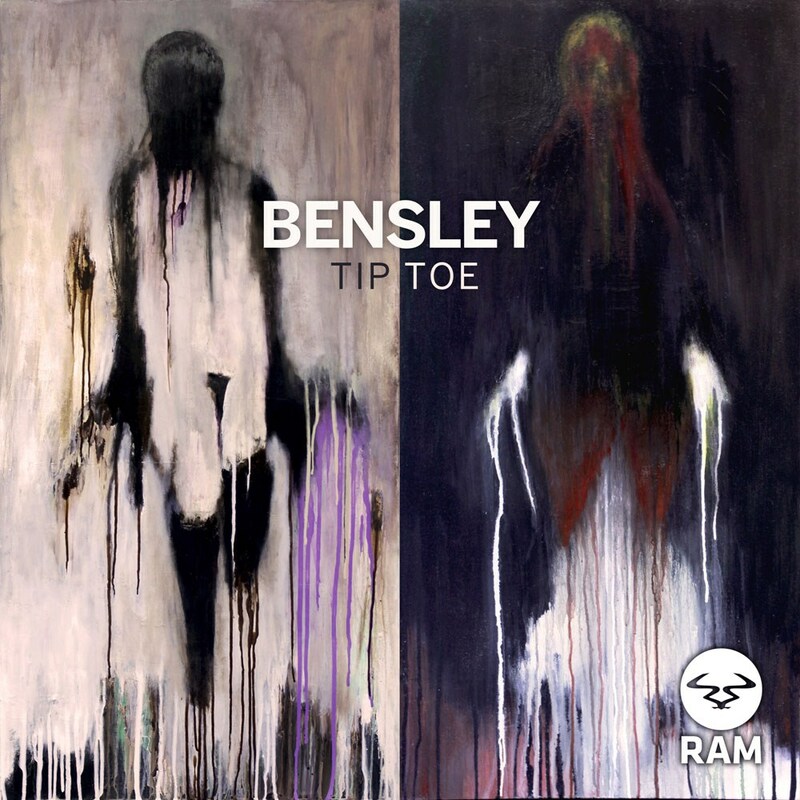 And next single 'Tip Toe' only goes on to solidify Bensley's position. One set component from the last eighteen months that has created nearly as much hype as his ground breaking first single 'Fandango', it again hones in on the artist's signature production standards. Hollowed drums and building note arpeggios bring you forward on top of a reverberating bassline; quickly cut then propelled forward on pounding subs, clacking percussion filters between carefully composed loops. Hailed by radio tastemakers Beats1's Zane Lowe and 1xtra's Mistajam as one to watch, this next single adds another milestone to his journey. Whether it was on the dancefloor across his European tour last Autumn/Winter, or through personal headphones, Bensley is beginning to dominate playlists globally. 'Tip Toe' solidifies why.